High temperatures today warmed into the lower 80s, except at the shoreline where a breeze out of the southeast at 5-10 mph kept temperatures a few degrees cooler. Hurricane Florence is churning in the Atlantic, 385 miles southeast of Wilmington, N.C., and heading in that direction. The hurricane is currently rated a category 3, and is expected to intensify to a category 4 hurricane before landfall late Friday. 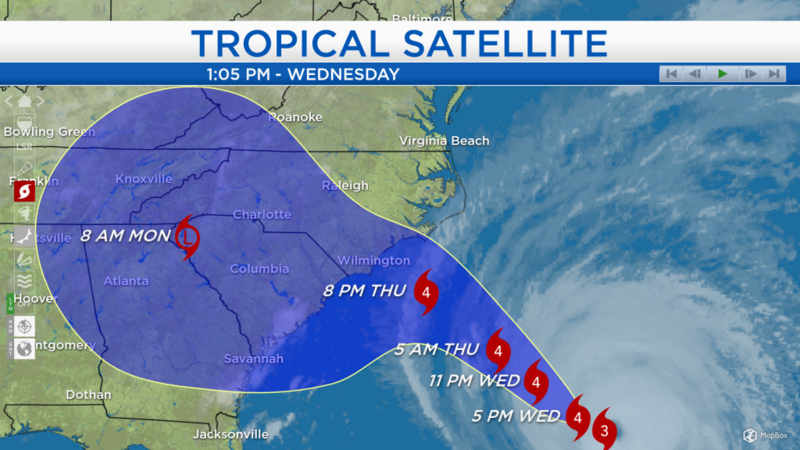 A hurricane warning is currently in effect for the North Carolina coast and a section of the South Carolina coast. 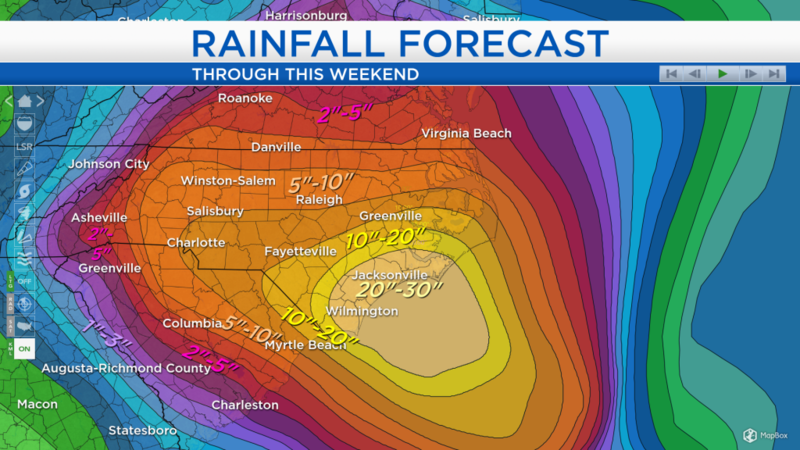 In that region, wind speeds exceeding 70 mph are expected Friday, and rainfall amounts of 10-30 inches are expected through the upcoming weekend leading to widespread flooding problems. In Northeast Michigan, low temperatures tonight will cool to the lower 50s, then temperatures tomorrow afternoon will warm to the upper 70s. Plenty of dry weather is forecast through the weekend. Temperatures will gradually warm through the weekend. For tomorrow, the afternoon will feature mostly sunny skies and a high temperature of 77 degrees. High will warm to 79 degrees on Friday, then 80 degrees on Saturday under partly cloudy skies. Sunday is the warmest day in the forecast with a high in the lower 80s and mostly sunny skies. For the rest of Northeast Michigan’s weather forecast, watch the latest weather video by clicking the weather tab at the top of the page.